See what was in the February 2018 KitNipBox! Unboxing and Review. The wand toy is a different style than I have seen before. 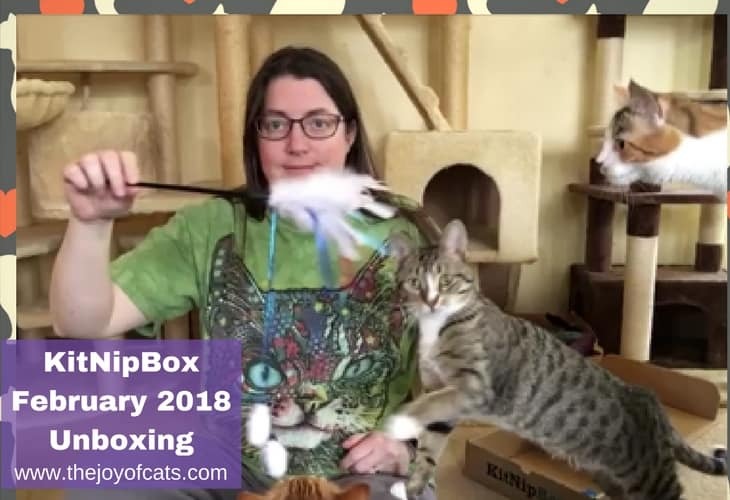 See what was in the January 2018 KitNipBox! Unboxing and Review. This was one of my favorite boxes so far! 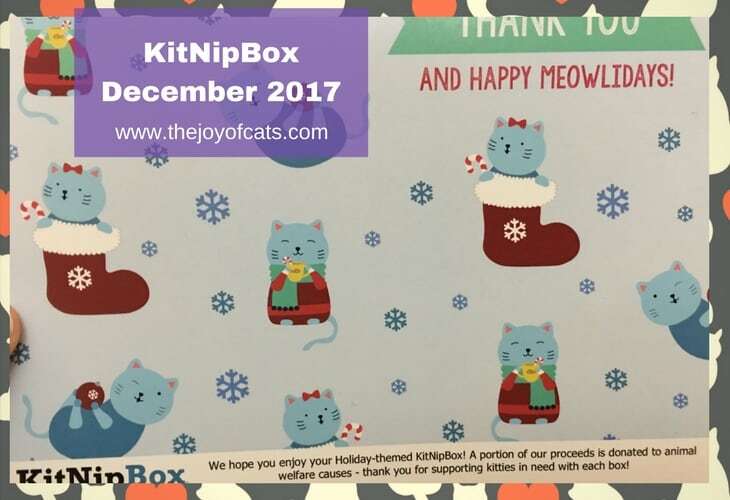 See what was in the December 2017 KitNipBox! Unboxing and Review. Catlady Box February 2017 unboxing and review. Watch the video as my cats “help” me open the box. There are also pictures of the items. 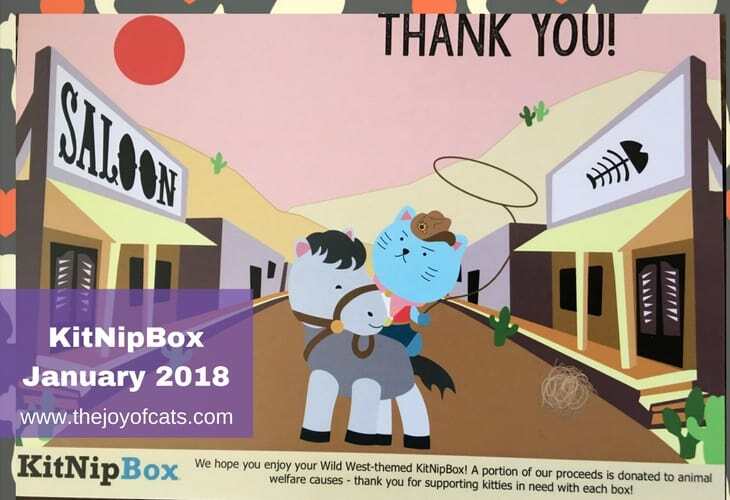 See what was in the January 2017 Meowbox! My cats can be seen playing the background of the video. 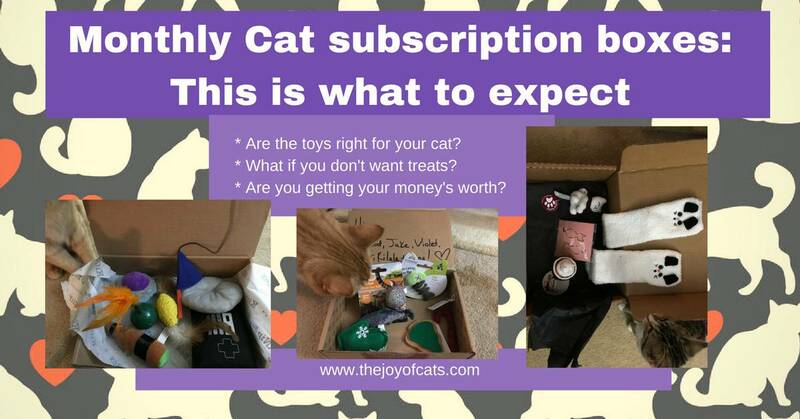 Have you wondered about monthly Cat subscription boxes? Find out what to expect in this post. Questions answered include are you getting your money’s worth? Watch as I open the January 2017 KitNipBox. Some of my cats helped out. The post includes pictures of all items and a short written review. See what was in the January 2017 CatLadyBox! Watch the video, look at the pictures, and read the review! Watch me open the Meowbox for December 2016! There are also a few pictures of the some of the cats with the toys. 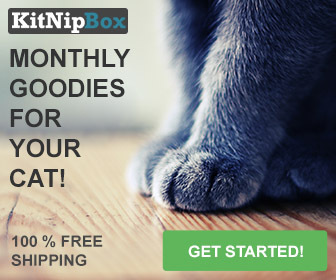 See what’s in the December 2016 KitNipBox. This is the first video that includes a glimpse of our new rescue kitten, Taco.